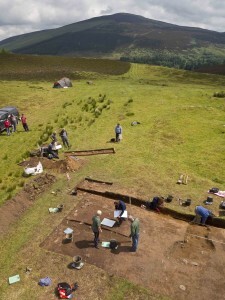 The 2012 season of the Glenshee Archaeology Project focused on the partial excavation of a potential early medieval ‘Pitcarmick’ type building. The site of Lair is located in Glenshee, Perth and Kinross (NGR: NO 1394 6378) on terraces of a south facing slope, at a height of between c 360 and 380 m OD, which affords good views. The Shee Water runs 600m to the east. The project was carried out through a community archaeology approach which provided learning opportunities for participants through involvement in fieldwork/desk-based research and through the dissemination of the results. The project looked to adding some much needed depth to the available information on the Pitcarmick-type buildings of north-east Perthshire. While many of these elongated turf and timber houses of the late first millennium have been identified in this upland area (RCAHMS 1990) their overall distribution is still poorly understood. In addition, very few have been excavated to date, the notable exception being the site-type itself (Barrett & Downes 1994) which is currently being published (Carver forthcoming). The sites are particularly important as early medieval buildings are rarely found elsewhere in Scotland, with the exception of Viking settlement in the Outer Isles. Like Pitcarmick itself, the site at Lair comprises a relatively dispersed settlement of long-houses on the site of an earlier prehistoric settlement (round houses of probable late Bronze Age or Iron Age date) and, in the case of Lair, a ring-cairn of probable earlier Bronze Age date. The project aimed to date one of the turf structures in order to confirm or deny its potential early Medieval date and how it related to these earlier sites. The building excavated was one of two similar south-east to north-west orientated rectangular structures defined by turf banks previously identified by the RCAHMS. Further visible archaeology located immediately next to the excavation area included prehistoric round houses and another Pitcarmick type building while the wider landscape included various remains of post medieval settlement. The excavation revealed the remains of collapsed turf banks that would have formed the walls of the building. No clear sign of stone footings for the turf walls was located although areas of better preserved turf walling were noted. 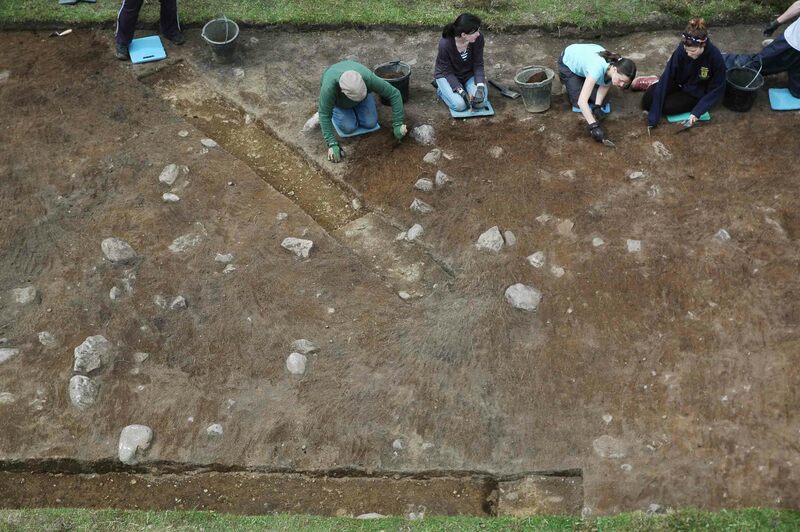 A probable entrance was uncovered at the south eastern end of the structure and an internal pit within this end of the building probably represents the location of an upright supporting timber. Radiocarbon dating of the site funded through the SAS grant confirmed that the earthwork feature was a turf long house dating to 7th-9th cent AD. Finds included a flint arrowhead and a series of iron artefacts, including two knives and two buckles. While the finds assemblage is limited it is potentially very significant. 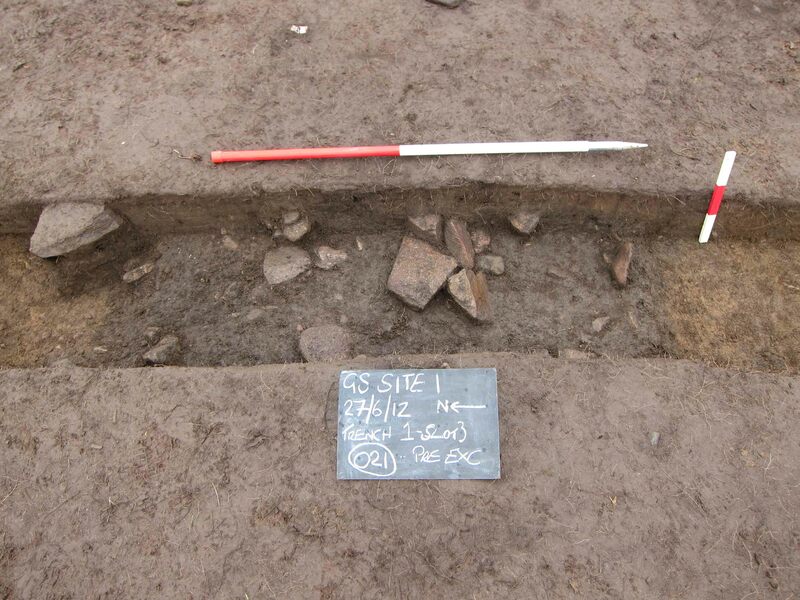 Some material, such as the prehistoric flint, reflects nearby sites suggesting possible early medieval re-use, or at least interaction with, the adjacent round-houses. The assemblage of iron artefacts, some of which are secured as being contemporary with the building, are potentially very significant as low status domestic metalwork of this period is rare as so few sites have been excavated. Looking to the future the project is planning to continue exploring Glenshee and will build on the results of the previous year’s excavation by targeting new areas of the broader site. Integral to this will be the continued development of the relationship already built up with the local community which will include encouraging the involvement of new local members and more school children in the second season of excavation. Barrett, JC & Downes, J 1994 ‘North Pitcarmick (Kirkmichael parish)’ DES, 87-88. Carver, M (2012) ‘Pictish Byre-houses at Pitcarmick and their landscape: investigations 1993–5’ PSAS 142. ScARF 2010 Medieval Panel Draft Workshop Document, 20. Strachan, D (2013) ‘Excavations at the Black Spout, Pitlochry’.